The postgraduate community in Nottingham is even better than I thought it would be. "I had heard about the great reputation and the quality of the staff, students and facilities at the University, but there were three main reasons why I decided to study at Nottingham Law School. I appreciated how the flexible course structure allowed me to choose modules within the field of intellectual property law that were most suitable for my professional development. This level of personalisation allowed me to choose areas that interested me most and would be most relevant for my future career goals. "Also, the modules are delivered by academics who are leading experts in their respective fields in law, so I knew the teaching would be delivered to an exceptional standard. And thirdly, I was impressed with the high reputations of NTU´s alumni, and was excited by the prospect of one day joining them. "Nottingham Law School offered the opportunity to study my two main interests at Masters level: intellectual property law and sport. I want to work between these two fields in the future, and this combination wasn’t offered at any other university I looked at, so I made NTU my firm choice. "The 24-hour library on the centrally located City site is a key feature of the University. The library is like my second home. It is the perfect place to work, and is really close to the gym where I unwind after a long day studying. Both have fantastic facilities. 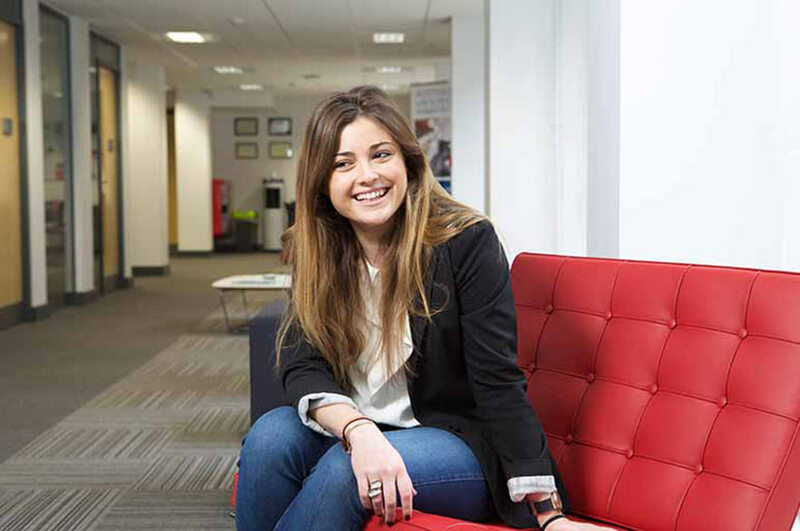 "Postgraduate study has opened my views regarding my future professional development. When I finish my Masters, I would love to spend some months in a NGO that I am really involved with in Malawi, Africa. After that, my goal is to be working as an intellectual property lawyer in the sports industry. "To those who are dubious and not really sure about studying a Masters, I would highly recommend doing it. It’s challenging and requires hard work, but what you learn and the people you meet make it all worthwhile. The postgraduate community in Nottingham is even better than I thought it would be. There are postgraduate students from various different countries and at different ages, but all sharing the same interests, so it is very easy to connect. We're like a big family."